Why not Cryptocurrencies to fund the SDGs? 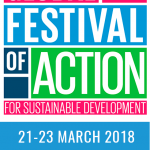 This week I am speaking at the Festival of Ideas about financing for the Sustainable Development Goals (SDGs) at the city level. Given the planets chang ing demographics, 54% of the world’s population live in the urban space, with expectations rising to 70% by 2030. What does this mean? It equates to cities bring the driving force to deliver the SDGs. This will inevitably put increasing pressure on cities: which are suffering globally from a decrease in financial resources and budget cuts. Thus, my thesis discussed here: cities need to become smarter and more innovative in finding ways to fund SDG projects. I have always fretted about sustainability, impact or whatever the next name might be, where they employ financial tools that are staid, traditional and predicable. Indeed, sustainable finance has lagged behind mainstream financial innovation, focusing only on the equities market and market capitalisation via equities, until recently. As the first Managing Director of the Dow Jones Sustainability Index, I too, was focused on equities and measuring the level of Sustainable Development inherent in the value proposition of companies. The development of new types of sustainable or green investment instruments has grown and received some well needed attention, specifically in the debt market, via recent social impact bonds and green bonds. MFIs and IFIs and charities, via balanced funds, all participating in getting into the act of looking at innovative ways of financing sustainable development activities. Indeed, I am of the opinion that environmental investment, SDG funding, sustainable funding and social impact funding would use every financial tool in the arsenal, including crowdfunding, to fund solution based projects: projects that will address and solve critical issues. Although I am not an expert, I am going to propose something I consider very edgy, something that may not be even in the periphery of your traditional sustainable development professional: about harnessing the popularity of cryptocurrencies to fund SDG projects, whether at the local or international level. Taking the fervour further to create financial freedom and tap into new investors and financial participants. A IMPACTCoin, BitSDG, BlockChainSDG, SDGCoin, BitIMPACT… I’ve got more. The raising of funds via cryptocurrencies can be used to support the SDGs, Environmental conservation and social impact. Yes, I know what you are thinking, cryptocurrencies are complicated, challenging, are filled with kinks that still need to be sorted out, and at times are misaligned with what they were setup to fulfil. I posit to you, that sustainable finance needs to start looking beyond traditional financial tools and taking a page from the start-up playbook to explore innovative finance to move SDG financing forward. 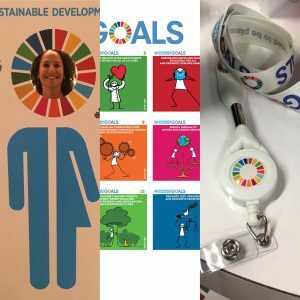 The cryptocurrency for the SDGs should not be seen as different than other cryptocurrencies: open source, based on block chain technology, and support financial freedom, the only difference is that the funds raised will be used exclusively for SDG based projects – from supporting sustainable cities [SDG #11] to gender equality [SDG #5]. These projects to be supported by the UN via the United Smart City initiative [@unitedsmartcities]. What is the main complaint for cryptocurrency? What is the value of the currency? What is the value of anything. Fortunately, there are many ways that the inherent value of the environment, solution for social issues and justice is much clearer then the value of the currently traded cryptocurrency. Also, every cryptocurrency is built on innovative block-chain technology which uniquely provides full transparency. Is that not what every environmentalist around the world, as well as social activist, is seeking? Building and maintaining a decentralised ledger? Why not use this, in some cases decades of databases, to establish a cryptocurrency? Think of the speed, security and amazing trust of the records; establishing value, value that one can visit and see positive solutions? This IMPACTCoin can be traded on exchanges using the inherent value of the environment, as long as all agreed that the environment has value [which many, many, many do]. What is to stop active environmental and social investors legitimately speculate on the value of the environment/society/SDGs via a well-established cryptocurrency? The cities need to raise funds, alternative to issuing municipal bonds. In some cities [most notably in France] there are many cities that have their own currency or value vouchers, easily exchanged for goods and services. Perhaps a cryptocurrency token could be used to pay for city level essential goods? Cryptocurrency present a viable way for cities to fund SDG projects, especially those infrastructure and energy projects that do not have access to traditional funding avenues. She is a recognized expert in the fields of sustainable finance and sustainable development in the finance sector. 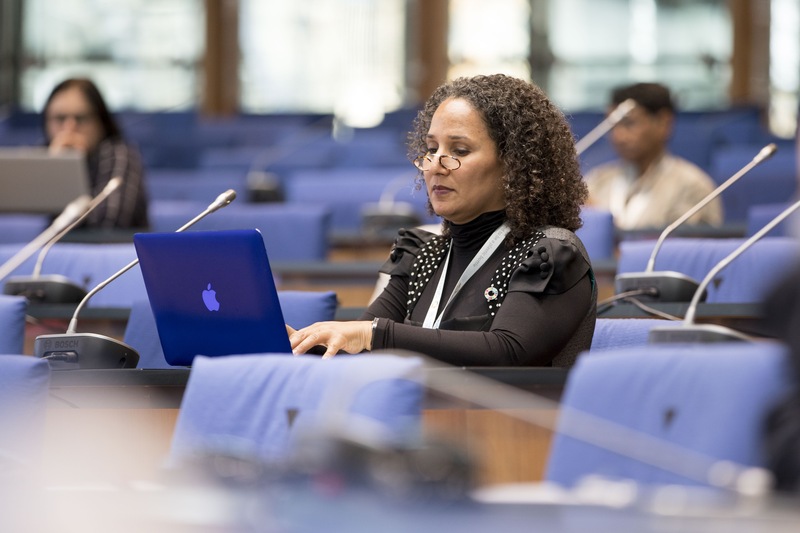 She has also experience in providing of common sense alternatives to the conventional technology vendors in the primary areas of waste management, renewable energy, water security, food and agriculture, with application to Government policy makers as well as corporate decision makers. Recently she lead a global, private sector collaboration created to mobilize employee volunteers to directly and substantially contribute to the achievement of the Sustainable Development Goals (SDGs).